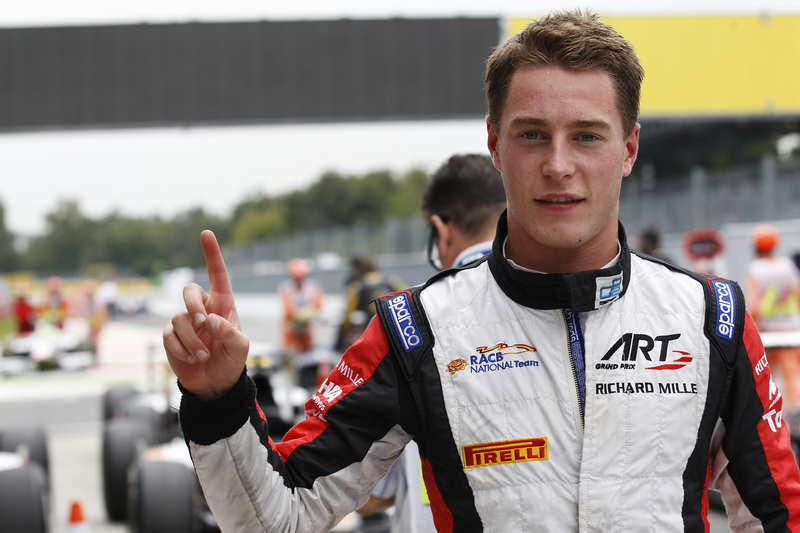 Stoffel Vandoorne secured his second pole position in a row at Monza this afternoon, displaying once again ART Grand Prix’s return to form. The Belgian, who topped the official times in Spa-Francorchamps two weeks ago, beat Arthur Pic’s best lap by two-tenths following a spectacular late run. Pic had topped the opening practice session in his Campos machine, but couldn’t replicate the feat when it came to the grid setting session. Whereas Vandoorne made hay late on, Pic could not improve on his first run and was demoted to the outside of the front row for his troubles. Mitch Evans secured 3rd on the grid, while championship leader Jolyon Palmer took 4th, only for the Briton to be disqualified after the session when it was discovered his DAMS machine was short of the fuel necessary for sampling. The error promotes Racing Engineering’s Raffaele Marciello up to the second row, with Stéphane Richelmi alongside. Palmer’s championship rival Felipe Nasr (Carlin) will start from the 7th position and is partnered on the fourth row by teammate Julian Leal. Series debutante Pierre Gasly could do no better than 19th in the green liveried, but Red Bull-backed Caterham entry, while the returning Sergio Campana took last on the grid for Venezuela GP Lazarus.